Since you have been telling your recruited players that it doesn't matter that much who coaches the blue boys, I have a suggestion for you on your impending replacement. Perhaps you can put in a good word on behalf of my recommended candidate for your (old) job. I am wondering if the new athletic director in Ann Arbor will look for another Michigan Man (in name only like you) or try to find a head coach who can take a storied football program and return it to glory. I suggest a well known candidate that has been mentioned as a candidate to replace you. But he has a strong SEC background and I know the alumni do not take kindly to the better-than-you attitude from that conference. Also, he followed a former Michigan State head coach both in college and into the pros so he has to have some knowledge of what winning is like especially since that head coach has won two national championships and is in the running every year. His four year head coaching career in the SEC started slowly with a 7-6 record but that year he won his bowl game against the team you call Ohio. Something that only happens once a decade these days in Ann Arbor. This guy is 1-0 against the Buckeyes. His second year he finished 11-2 and in the top ten rankings. Sounds familiar for a new head coach. Then things went south for this once dominant program. They finished 2013 with seven straight losses and a sorry 4-8 record. But the school decided to give the coach and his full bevy of recruits one more chance. Boy, that sounds familiar too. And this year didn't meet the usual standards even though they are bowl eligible and should finish the regular season 6-5 that including an upset of a top ten team that allowed them to qualify for a bowl game. Something you had trouble doing in all four years at Ann Arbor. Unless of course you win your final regular season game today. Which is about as likely as Appalachian State winning two in a row in front of 100,000+. Will Muschamp has all ready been released from the University of Florida so he could help with recruiting right away. It's a perfect fit if your future former employers could only accept logic over arrogance. Thank you for your devotion the Michigan football program. You have helped my alma mater more than you will ever realize. I truly look forward to your success in your next head coaching job. I want you to succeed as much as your predecessor has at Arizona. Let the UM Athletic Department continue to think it is their coaching hires that have been the problem. There are many things I will follow when you get that new head coaching job. Will you recruit four and five star high school athletes and try to be their father by letting them run the show, or will you begin to recruit lesser athletes and mold them into a team like the current B1G coach up the road? When a student athlete on your team gets in trouble with the law, and they will, do you take decisive action to send a message to your team or continue wait and let the legal system run its course before making a decision? When you are invited to attend a local high school football camp will you send an assistant and have him turn it into a recruiting trip or would you like him to treat it as a training camp as it was meant to be? And finally, I will be interested to see if you take your new team to an 11-2 record and a bowl win in your first year without any of your personal recruits. All the best to you and your future endeavors. P.S. One more thing I'll look for once you land your new head coaching job with another team. I wonder if you will look unkindly toward offered recruits who desire to visit other college programs before making a final decision on their college career. Or will that be an attitude reserved only for the Ann Arbor program? Card and letters are flowing in to commemorate the farewell tour of Michigan Football Coach Brady Hoke. (That's probably the last time we type those five words in that order.) We put out the call for well-wishers as The Brady Bunch says "Goodbye, Ann Arbor". I really appreciated the excitement you created with your highly rated recruiting classes, and the way you could never build on their natural ability. This created a build-up of expectations and excitement, followed by a sharp letdown due to execution errors. Excellent combination! I also thank you for bringing David Brandon to experience the excitement the crowd and the Izzone creates at the Breslin Center. It was great to have you and him both together to watch Spartan Basketball in person. You picked a great game to attend, as the Spartans handed the "We On" UM men's basketball team a lesson in competitive execution. No other UM football coach has ever come to a home MSU basketball game, so we will always remember you did that. Also, it was fun watch the budding romance between you and Sparty. Thanks for coming, and also thanks for going! You'd think those players in yellow jerseys with the word "Michigan" splashed across the front would actually be from the State of Michigan. At least many of them, right? It's time to think again about those University of Michigan Wolverines. We just discovered that the UM Men's Basketball team has only one player from the Great Lakes State. That's "one" as in the number just above ZERO. Yet the Michigan State Men's Basketball team is made up of nearly 50% home-grown talent. 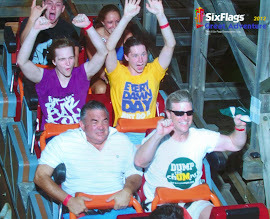 Then we checked the coaches, and lo and behold, it was just about the same picture. Michigan has one Detroit-born-and-bred assistant, but the head coach (Beilein) and the rest of his staff are outsiders, dropping into the Mitten just for this one job. First-time residents, you might say. But Tom Izzo and his entire staff went to high school in our home-state, and three of the four also attended college right here in Michigan. So the discrepancy held up, as 55% of MSU players and coaches are local to our state, while only 16% of UM players and coaches came from around here. You have to wonder why they are called the "University OF Michigan", since so few of them are actually from Michigan. But that's just the men's teams. In the spirit of Title IX, we expanded our view to the Women's Basketball programs at both schools. To quote the famous band Led Zeppelin, in that case, "The Song Remains the Same". We found that eight out of 13 Spartan women went to high school in Michigan, a total of 62% of the team roster. But down in Ann Arbor, only five of 14 did so, a total of 36% of their team. Some people may care more or less about these facts, but they are FACTS. The yellow-and-blue teams are assembled with players and coaches from all over the place, while the green-and-white teams truly represent the State of Michigan. On this Thanksgiving Day, it's appropriate that we offer thanks to Michigan Football Coach BRADY HOKE, for his four excellent years of service. I still remember that cold January day when his hiring was announced, warming up our chilly Spartan hearts. We could see that Bad Moon Rising for the Wolverines. Now that the moon is about to set on UM, we would like to thank Coach Hoke for everything he has done - - - and not done - - - as the leader of the Blues. And for that, we would like your input! Please place your comments of Thanks for Hoke in the comment section below this article. We will add your thoughts to ours as we prepare a message of Thanksgiving, to be posted within an hour of the announcement that Brady Hoke has been fired. 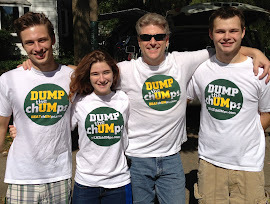 Be sure to get your comments in right away, as the hours are dwindling on the Hoke Era! So we expanded our view to the coaching staffs of both teams. Turns out to be a similar picture. All four MSU coaches went to high school in Michigan, and three of the four also attended college in-state. The Spartans also have the only coach who attended school where they are now coaching. The Michigan Staff includes one assistant with a pure-bred Detroit background, and one with split credentials. The other two Wolverines coaches (including John Beilein) appear to be working their first job in the Mitten. So the comparison is two-out-of-four locally-grown coaches for UM and four-out-of-four for MSU. We combine the player and coach totals below. The Spartan Men's Basketball team is more than three times as local to the State of Michigan as their counterparts at UM. And, as it turns out, the picture is the same with Women's Basketball. More on that tomorrow. While the Michigan football team prepares to be hammered like a nail by Ohio STATE this weekend, Wolverine fans everywhere are heading for the hills and calling for the heads of coaches, players, and administrators. In other words, "It's a great day to be a Michigan Wolverine!" At least that's what I heard their young fans singing about after the 2007 game at Spartan Stadium. Singing very loud, I might add. Right at us, as we left the upper deck, all the way down to ground level and off into the night. Little did we know that little Mike Hart was crowing about "little brother" at that same moment in the post-game press conference. Those were the days my friend, we thought they'd never end. BUT THEY DID. And now the shoes are on the other feet. Blue and yellow shoes, about to be stomped into the ground again by Scarlet and Gray cleats. Here come the Buckeyes, ready to work on an "Urban Renewal Project" at the Horseshoe. So the Bluebloods are a bit depressed right now. If you know any of them, we have a way you can cheer them up! You can remind them of past history, you know, like "yesteryear" and old newsreels and such. And we all know how much they love to live in the past. Just tell them about this date in history, in 1885, when the UM Rugby team scored a great victory over the "Peninsular Cricket Club". That's right, a rugby team played a cricket team and four score and seven years later, they relabeled it "football" as part of a promotional t-shirt campaign that never seems to end. We're talking about the so-called "All-Time Wins Record"
by fans of Michigan football. They have counted up some seventeen-quadra-zillion "wins" in their history, and are all too willing to remind anybody within earshot just whatever their current number happens to be at the time. And they're counting the big win over the "Peninsular Cricket Club" right there with any wins against Ohio State, Notre Dame, and their "number three rival", Michigan State University. It must have been quite a game. The UM rugby players scored two "rouges" to go along with their touchdowns and field-goals for a 42-0 win over the boys from Detroit who reportedly had never practiced the new sport. The PCC specialized in baseball, tennis, and bicycling, and later became the Detroit Athletic Club. Nobody led the team in tackles, as they were not allowed. Nobody led the team in forward passing, as those were not legal. No coach got credit for the win, because there was no coach. After the season, the UM student newspaper criticized the team for playing low-quality opponents. But hey, a win is a win, and it capped-off one of those "undefeated seasons" after two wins against Windsor earlier in the month. 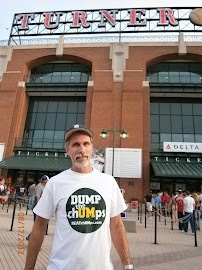 another "undefeated season" you can read about on t-shirts. So when Brutus rips the snot out of the Wolverines on Saturday, you can still cheer up your Michigan fan friends by raising a toast to that great win over the cricket-playing Detroiters in 1885! While getting ready for basketball season we noticed the University of Michigan has only one player from the State of Michigan. There's a surprise! So we checked on Michigan State and found that close to half (44%) are playing college basketball in their home state. Seven out of the 16 Spartan players graduated high school in Michigan. That's not a surprise. Without checking every MSU team roster from the past 40 years, I would guess that they all had a preponderance of players from the State of Michigan. It's always been that way. This fact may matter more or less to various people, but it stands as consistent with the general comparisons between the two schools. In general, Michigan State tends more towards close connections to local areas, while Michigan seems to be based largely outside of the state. When we checked the coaches for both teams, we found the same pattern. MICHIGAN MENS BASKETBALL TEAM NOT EXACTLY A "MICHIGAN-MADE PRODUCT"
We hear a lot about "Pure Michigan", the state-sponsored advertising campaign to promote tourism in the Winter/Water Wonderland. It's all about the Mitten State. Some people would have us believe the University of Michigan is a key representative for our State, and many believe that UM Basketball offers a showcase for some of our best players. While that may have been true at one time, those days are gone. In fact, only ONE PLAYER on the Wolverine roster is from Michigan. 14 UM players are not from Michigan, including five from Indiana and two from California. So that's 1 out of 15, less than 7%. How much of a big deal this may be is up to anybody to decide as they so wish. But the John Beilein program is certainly not a "Michigan-Made Product". By contrast, nearly half of the Michigan State Men's Basketball Roster is from the State of Michigan. Things haven't been going well for the Michigan Football program. But that doesn't mean Wolverine fans can't enjoy another fine trip down memory lane. If you know someone who roots for UM, take note of this date, as it may provide solace while their current season swirls down the drain. Michigan played its second and final game of the season, an 18–10 victory over a Chicago city team reportedly "composed of business men." The Chronicle reported that the Chicago city team was "made up almost wholly of Englishmen who learned to kick shins at the English public schools." The UM team scored almost immediately, then paused to explain the rules of the game to their opponent. After the game, the Chicago team complained about the uneven field conditions, pointing out that the home team was obviously accustomed to them. Some things never change! A touchdown was worth four points, while a field-goal was worth six points. There was no forward passing and it was illegal to tackle below the waist. Nevertheless, every time you see an "all-time wins total" for Michigan Football, it includes this game. "undefeated seasons" that they like to talk about. So if you see a Wolverine fan looking glum about the 2014 season, why not try to cheer them up with a reminder that only 130 years ago, they took down a collection of English businessmen on a crooked field who had never played by UM rules before. And by Michigan standards, that's counts just the same as beating Ohio State. The Internet is swimming with comments from fans defending their University of Michigan in on-line comment forums on sports media. The Bluebloods are enraged by their school football team! They don't like their precious "on-field product", and they're increasingly upset about their "off-field antics". Maybe Frank Clark was the straw that broke the camel's back. There are a few Green Guys & Gals who chime-in on the Wolverine comment threads, and they mostly just pick on UM for one problem or another. They don't generally say anything directly about Michigan State, though many identify their affiliation clearly through their icon. Most of them are pretty close on facts and stats, and they are sort of rubbing it in their faces. 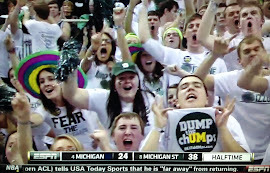 Invariably, the Michigan faithful will take shots at MSU, hitting whatever perceived weakness(es) they can identify. In some cases, their points are accurate. But they all basically fall back on the claim that "this-or-that happens everywhere". 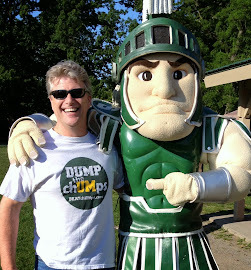 Many commenters cite situations at other schools, and they frequently reference Spartan history in their viewpoints. But again, it always comes down to the key point that "this-or-that-happens-everywhere". This is where they totally miss their own point. They are posting comments that prove what we've been saying for years; that Michigan is just about like any other similar place, with some good things and people, and not-so-good things and people. They are not "different", they are about the same. Stuff happens everywhere, including at UM. is about the same as so many others. We appreciate the reminders we keep reading on-line from the Yellow Faithful that their school is so similar to so many others in so many negative ways. So much for the "Michigan Difference". ONCE TOAST-OF-THE-TEAM, NOW JUST "TOAST"
Now Clark is "lunch-meat", tossed aside like two-day-old bread at Panera's. Buh-bye, Frankie. Did you notice how Hoke announced on Sunday night that he would "respect the legal process" in Clark's case, then came back Monday morning to announce that Clark has been kicked off the team? Some sign of respect. I guess that's how Hoke treats one of his many "sons". Apparently, the "appropriate time" means after Clark has already been kicked off the team. Okay, I suppose he could call that "appropriate". Anyway, the case blew-up so fast the Wolverine Spin Machine will have people asking, "Frank Who?" by this Saturday afternoon. They'll claim it's "old news" by next week. They will ask us to quit looking so far into the past. Then they will claim they hold the all-time wins record in college football. So before the next chunk of whatever hits the proverbial fan, let's review a few points about the actual behavior of Michigan football players in the recent past. Looks like Michigan football player FRANK CLARK is back in jail again. This is a breaking news story, so watch M-Live and the Freep for updates as it develops. Michigan Basketball Coach John Beilein has stepped out-of-the-box again. The ingenious innovator who took power-forwards out of his game-concept, and dropped interior passing in favor of bombing away from long-distance, has offered a new way to approach recruitment of players. Yesterday was National Signing Day in college basketball, and Beilein did not sign-up any players to play for UM in the Class of 2015. You read it right, zero players have signed to play for the Wolverines next season. Zilch, nada, the null-set. Perhaps the old coach got tired of the recruiting trail, choosing to sign six players last year, and apparently deciding that was enough to carry his team forward without any new blood in the 2015 class. It's an unprecedented move, as no major programs have ever been known to leave a class totally empty, at least not on purpose. Michigan State has added as few as two players in a class, but never zero. In case you were wondering why you haven't heard much about the Michigan Basketball recruiting class of 2015, now you know the reason why! WE'RE NOT THE ONLY ONES MAKING FUN OF UNIVERSITY OF MICHIGAN "FOOTBALL"
We got a reader comment last week that suggested we were being a bit too harsh on the Michigan Wolverines. JIM LAKELAND said we should turn our focus to other schools, like Ohio State, or maybe Wisconsin or Nebraska. He said UM was now "irrelevant" and we should probably back off on our scrutiny. But we're not alone! Many other people have been Wolverine-bashing, including former players from that very program. Who can forget the comments made by Desmond Howard, after visiting a Michigan football practice earlier this season? He basically said they looked awful, like nobody cared about being the best they could be. And he used to wear the Princeton Helmet. Then a few days ago, former player Larry Foote opened his mouth and criticized the soft players he sees on game days wearing the striped helmets. Foote plays in the National Football League, so he should know what he's talking about. We're here for one main reason only, to show the world what's TRUE about the University of Michigan, sharing information that is real, but also really hard to find anywhere else. We're much more based in FACTS than opinions, but former UM players are sharing their opinions openly these days. Our final offering today comes from a professional, neutral entity called 247sports. We found this link in the comment thread of an article about Wolverine football on M-Live. It's a video montage of plays from the Michigan-Northwestern game last weekend, and it was intended to be funny. (And by "funny", we mean "pathetic".) So, click on the link below, and enjoy the show! Every so often, we get accused of being "too rough" on Michigan. Hard to believe, no? After all, this web site exists for that primary purpose. Still, at times, some folks can't take it and claim we're being altogether too mean to that school. We feel the pain of Wolverines International, but only because we hear them talking about it. That's right, it's they who do the real crap-job on themselves, and we just read about it in the sports media. So this week, we thought it was time to share. The comments below are from self-described UM fans who posted on an M-Live article headlined, "Michigan now playing with nothing to lose as bowl eligibility the only prize left in 2014". We thought it was best at this point to let the Wolverine fans speak for themselves. Enjoy! "Ann Arbor Pioneer could possibly devise a plan to stop the U-M offense the way it is playing currently." "Shoot, Tom, the Pioneers could play their base defense throughout the game and still hold U-M's offense to less than 300 yards total offense." "As much as I like Brady Hoke and wanted him to succeed, this has been two years of the worst football I've ever seen. If the defense weren't playing decently, I can't imagine how depressing it would be ever since the Akron game last year." "Let's be realistic here, Michigan isn't going to beat OSU. Right now, OSU is varsity and Michigan is middle school." "Winning or losing next two games is no longer important." "There's nothing left in terms of "fixes" or excuses. It's unfortunately obvious that this coaching staff can't get it done, and that Nuss's hiring did not help, not in terms of scoring or DG's development (or tailoring the offense to his strengths)." "Did you watch that game Saturday night with OSU's freshman QB throwing laser beams all over the place? Compare that to the putrid performance of our 5th year senior QB and you know we have no chance against Ohio." "Hoke's fate was decided weeks ago. If there was any question about his fate it ended when Brandon was fired.....cough cough, resigned. Even if UM was to beat OSU, Hoke is gone, and the chances of winning at OSU are slim and none, and slim just left." "Hokes fate was sealed after the ND drubbing as far as I'm concerned. He's dead in the water and the whole team knows it." "Michigan just needs to lose Brady Hoke and this entire coaching staff. Now that the idiot that hired a coach with a losing coaching record, in the MAC no less, is gone, Michigan can get an AD with a clue and hire a coach who is a proven winner." "I will possibly be buried in a maize and blue casket but part of me wants Urban Meyer (who I pretty much despise) to turn the heat up as high as it will go against Michigan so everyone can realize what Coach Flintstone has done to the team. Aside from the obvious physical likeness, Flintstone is a good name for BH because basically has the team playing a pre-historic brand of football. They have gone nowhere with Devin "Dino" Gardner at the helm yet BH keeps calling his number 98 (whose idea was that again?). It's all such a mess." Many Michigan football fans have been living in a state of denial regarding the nature of their "true rival", especially during the Mark Dantonio Era. They always want to claim that only Ohio State (or sometimes, Notre Dame) is their "Rival", while Michigan State is just another game on their schedule. Now that MSU and OSU played a game with virtually equal circumstances for both teams, we have a litmus-test to ascertain the identity of UM's "true rival". 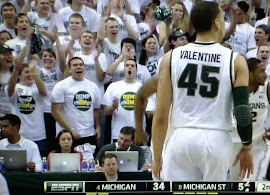 Any Wolverine fan who sees the Buckeyes as their rival MUST HAVE been rooting for the Spartans in that game. If any Michigan fans you know admit they were happy to see Ohio State win, you've got them, once and for all. So be sure to ask them who they rooted for. Or if they give you a mouthful of gas about MSU losing the game, be sure to tell them you appreciate knowing that Sparty is their true nemesis, not Brutus. On behalf of this web site, and for those in Spartan Nation, we would like to offer our CONGRATULATIONS to the Ohio State football team for their convincing victory over Michigan State on Saturday night. It was a well-played game, with little to no controversy. The officials called lots of penalties accurately, they might have missed one or two on both sides, but they did not determine the outcome of the game. The winner of this game was determined on the field, and it was clear to see that the better team won the game. It appears that the Buckeyes are the best team in the conference. Spartan fans have already been commended for sportsmanship on campus and in the stadium during the game. Let's continue the trend of good behavior, for there is no reason to hate on a team just because they beat you on the field. After all, Spartans and Buckeyes have a common "enemy". *Unless OSU loses one of the next two games, and MSU has already won their remaining games at the time Michigan plays Ohio State. In that case, and in that case only, we may choose to root for UM, as it would represent an assured and direct benefit to the Spartans. If Michigan State is scheduled to play Penn State AFTER the OSU-UM game is over, we will certainly be rooting for Brutus against the Weasels. This is another big day in UM "Football" history, since it was on this date in 1889 that the pre-Wolverines handed those boys from Albion College another gridiron lesson. (Perhaps without the gridiron.) The final score was 33-4, though nobody can explain how those point totals were determined. Seems like Albion must have had one touchdown, since those were worth four points back then. Either way, rack it up and roll it into the total, and today's Michigan fans count them all as one equal victory. But there was no head coach, and no Michigan Stadium, and no Big Ten, and no forward passing. The players didn't wear numbers, and tackling below the waist had just been legalized. The most common offensive play was the "flying wedge", a system that was later banned by President Theodore Roosevelt. And that happened 30 years before the NCAA began tracking football as a sport. It must be either Voodoo Economics or Fuzzy Math that gets them to their exaggerated win totals. Or maybe they're just counting Rugby scrimmages as football games. rugby champion of the 1800s, or at least the 1880s. Cornell and the Chicago University Club beat them by a combined score of 86-0 later that same (three-game) season. So this lone victory stands as the shining point of light in the season of 1889. A day to remember for all Michigan fans everywhere. We cap off our annual recognition of the University of Michigan "Day of Shame" with a look back at a piece of satire that appeared on our web site about a year-and-a-half ago. (Original article here.) At that time, Michigan State Athletic Director Mark Hollis was working on a special basketball tournament weekend as a tribute to Jud Heathcote. While that event has not yet transpired, we figured at the time that the Wolverines would be jealous of MSU (again) if Hollis could pull off yet another spectacular recognition ceremony. So we wrote up a little article "previewing" the UM answer to the Heathcote Tribute. Be sure to click on the links to learn more about the history of Michigan sports. Not to be outdone, the University of Michigan Basketball Program has also announced a tribute event to honor former Wolverine booster, Ed "The Godfather" Martin. Martin was known to have played a key role in UM Basketball history, as he was proven through an FBI investigation to have arranged for hundreds of thousands of dollars of illegal payments to several players, most notably Chris Webber. To commemorate Martin's role in generating countless sums of dirty money to fuel the Wolverine's rise to power in the late 1980's and early 1990's, all of his former numbers-runners from the River Rouge factories will be invited to attend the games. Webber will be the keynote speaker during a pre-game ceremony. Other honored guests to be recognized by Webber during the pre-game event will include Bud Middaugh, the former Michigan Baseball Coach who paid his players for fake jobs around campus, leading to the NCAA probation penalties that resulted in trophies being returned and record books being revised. Also appearing will be Trish Roberts, the former Michigan Women's Basketball Coach who was sued by one of her players before being fired after a petition drive against her by parents of the team members. The halftime festivities will feature former University of Michigan President Mary Sue Coleman, who is expected to recite her famous "Day of Shame" speech, originally given when she ordered that the banners hanging in Crisler Arena from the Ed Martin Era be taken down. Webber will also perform a special rap-dance called "Time Out", during which he will receive an inbound pass, drag his back foot conspicuously as if traveling, then dribble the length of the court only to stop abruptly and call timeout with a sheepish look on his face. Steve Fisher is not expected to attend the event. Fisher was the UM Basketball Coach who signed Webber to his employment contract on behalf of Martin. Fisher is blamed for the entire scandal by university officials, who often refer to him as "that damn Fisher". Fisher was appointed to replace Bill Frieder when Frieder was fired by Glenn Shembechler on the grounds that Frieder was "not a Michigan Man". None of the three went to college at U-of-M.
A bit of frivolity will mark the interlude between games, as former Michigan Football Coach Gary Moeller will play a spirited game of quarter-bounce with current Michigan Hockey Coach Red Berenson. After both gentlemen have finished their drinks, they will split the audience in two groups for gender-separated activities. The women will be invited to watch Moeller punch-box a police officer at center-court while tearfully pleading with him to stop, while the men will follow Berenson to a nearby library where they will take turns urinating on the walls of the building. A date for the event has not yet been selected, but the games will be played in Palermo, Sicily, legendary birthplace of La Cosa Nostra, known in America as "The Mafia".